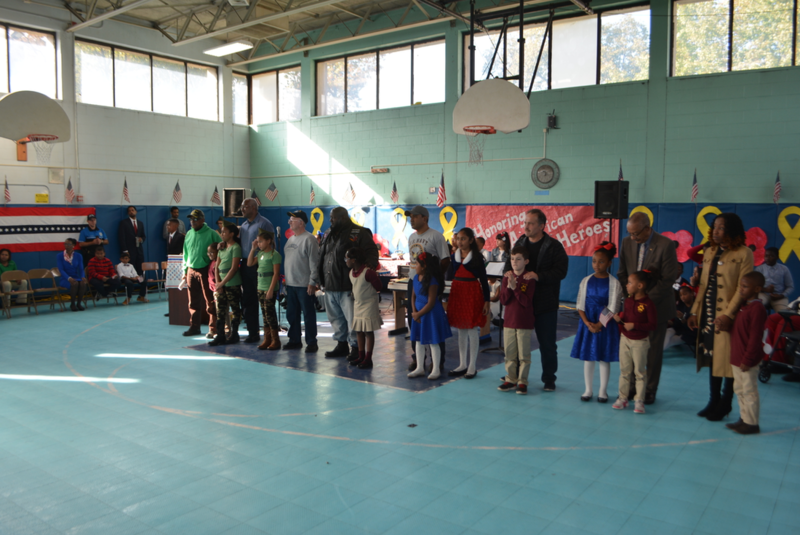 The annual Veterans Day Celebration was held at Traphagen Elementary School on Thursday, November 9, and like in previous years, it was a huge success. 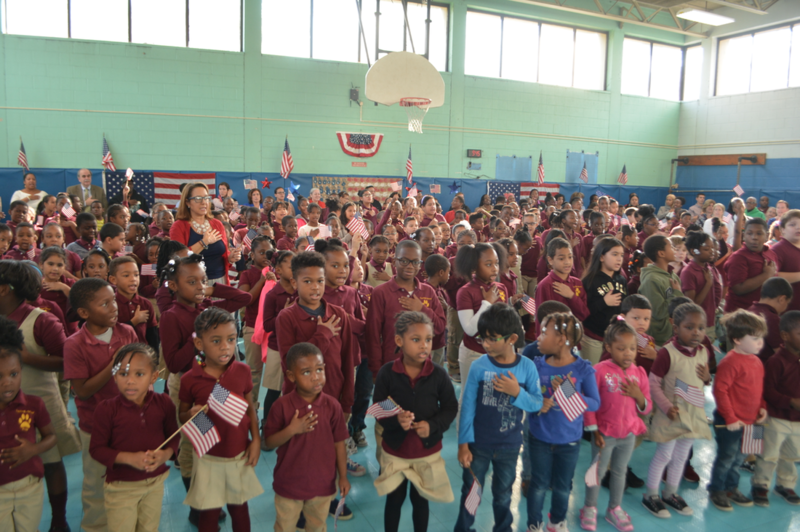 Once again, an excited and noisy capacity crowd packed the school’s gym for the occasion, while hundreds of students sat on the floor waving small American flags and exhibited their patriotism. 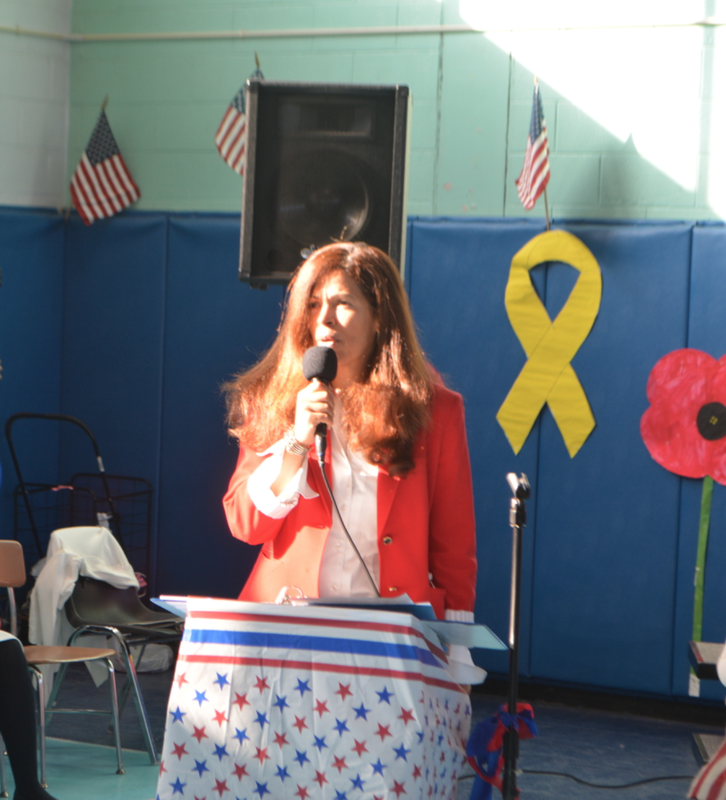 The yearly celebration had blossomed in previous years thanks to the school’s principal, Ilene Bichler, who always created new ideas to improve the way the students honor the veterans every year. 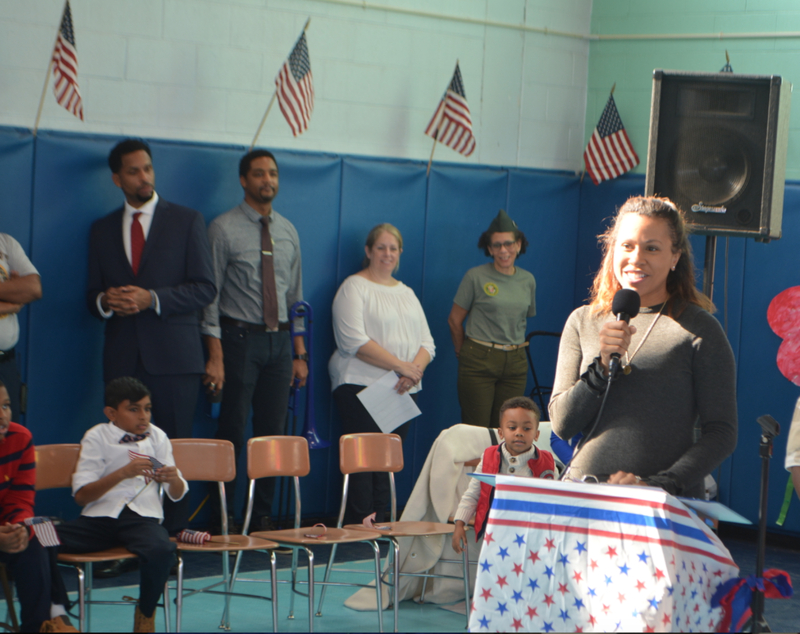 Not long ago, Principal Bichler was transferred to another Mount Vernon school and was replaced by Principal Carol Quinones-Smith, who did a marvelous job overseeing this year’s Veterans Day Celebration. As always, the entire school population attended the ceremony, along with many family members and friends. 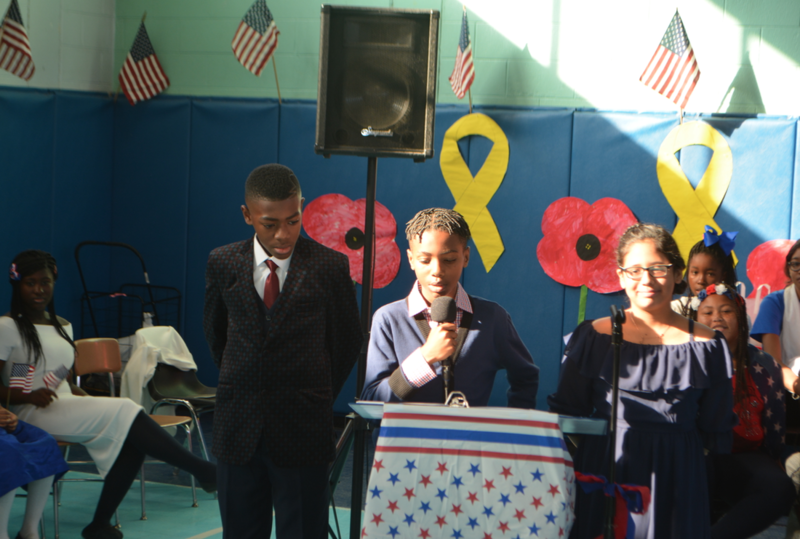 The event commenced with a salute to the flag and welcoming remarks from three students, Nathaniel Edwards, Nigel Diggs and Leah Loor, and the singing of the national anthem by the Traphagen Intergenerational Choir. Next on the agenda was the introduction of the school’s new principal, Quinones-Smith, who drew a thunderous applause from the capacity crowd. 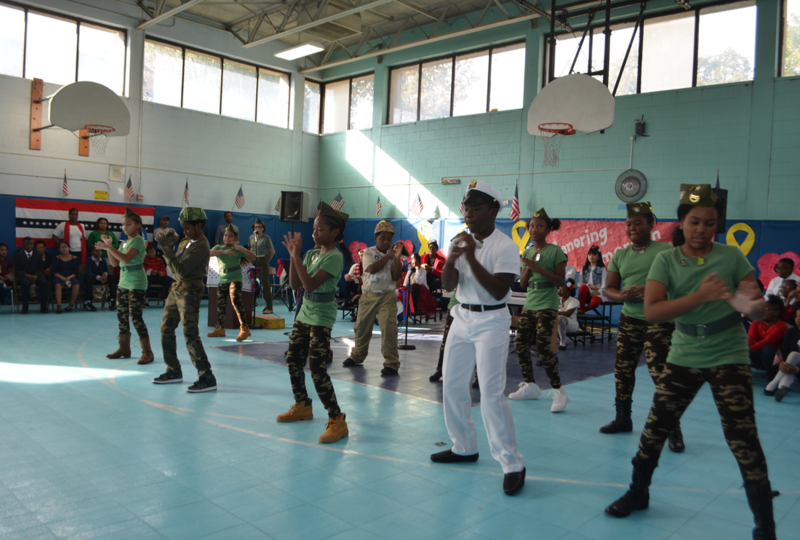 Following the principal, a group of students outfitted in military attire danced to the song Boogie Woogie Bugle Boy. Their outstanding performance led to a standing ovation. Next, the audience clapped loudly as veteran parents were recognized and introduced as they stood side-by-side with their children. They all had an opportunity to address the crowd. 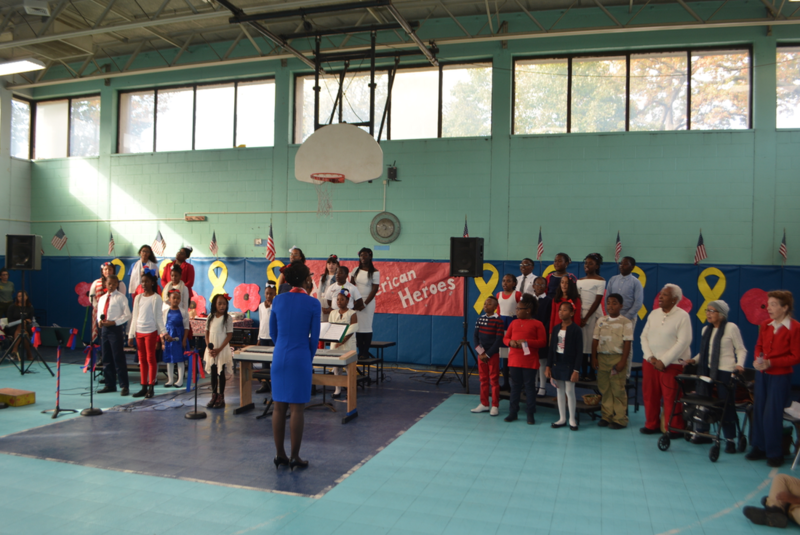 Prior to the ceremony ending, students sang two musical selections, followed by a moment of silence for the many veterans who never made it back home.